IIEP faculty led by Professors James Foster and Stephen Smith are engaged in research and policy analysis on extreme (or ultra-) poverty in the developing world. IIEP’s ultra-poverty initiative focuses on basic and applied research, organizing conferences, work with international organizations, and both technical and policy publications. IIEP is well placed to emerge as one of the world’s leading centers for scholarship on global poverty with our widely cited research and high-quality events building to a major international conference in spring 2012. In September 2011 IIEP launched a new signature initiative on global economic governance that will examine the role and evolving shape of international economic institutions in the 21st century. 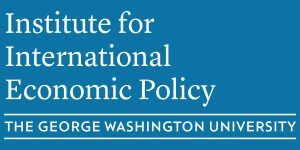 This initiative, made possible by the generous financial support of an anonymous donor, will build on existing IIEP research strengths and leverage its unparalleled location in the heart of international economic policy making in Washington DC. IIEP is emerging as one of the leading centers focused on economic governance in the increasingly integrated world economy. The US – China relationship is now second to none in importance for international economic relations and policy and accordingly is a major focus of IIEP. The centerpiece of this initiative is our annual Conference on China’s Economic Development and U.S.-China Economic and Political Relations, which has become one of the premier events of its type.